In collaboration with the Secretariat of the East African Community (EAC), the Auschwitz Institute for Peace and Reconciliation organized a training seminar entitled “Learning from Experiences: Practical Approaches to Building State Capacity to Prevent Genocide and Mass Atrocities,” in Kigali, Rwanda on April 24-26, 2018. The event was carried out in cooperation with the National Commission for the Fight Against Genocide (CNLG), which acted in the capacity of the seminar’s local host. Participants included EAC Policy Officers and representatives from Member States including Burundi, Kenya, Rwanda, Tanzania, and Uganda. Following an opening module dedicated to introducing participants to the concepts of genocide and mass atrocity prevention taught by Dr. Ashad Sentongo, Director of AIPR’s Africa Programs, Mr. Stephen Agaba, the EAC Secretariat’s Principal Legal Officer, made a presentation entitled “The Prevention of Genocide and Mass Atrocities in the EAC: The Role of Early Warning.” Following this, Dr. Samson Barigye, Conflict Prevention and Reconciliation Advisor of USAID’s SAFE Program led a module on conflict management and midstream atrocity prevention. To conclude the day, Dr. Jean-Damascène Gasanabo, Director General of the National Research & Documentation Centre on Genocide at CNLG delivered a module on policy and programming for State and non-State leaders. 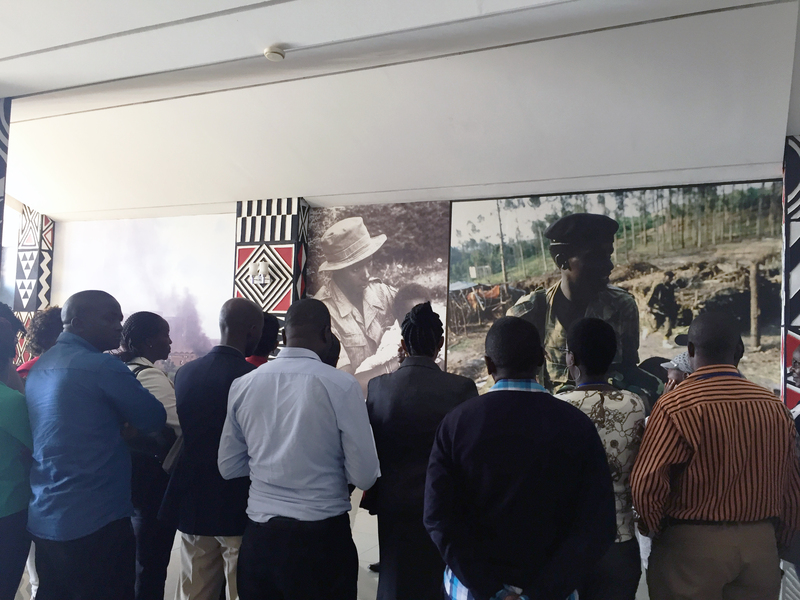 In order to experience the “power of place” that exists in Kigali, the second day of the seminar allowed participants to benefit from guided tours of three memorial sites: Kigali Genocide Memorial Center, the Campaign Against Genocide Museum in the Rwanda Parliamentary building, and the Nyanza School Genocide Memorial. Following the third tour, a debriefing session was held at the seminar site, giving attendees the opportunity to reflect on the day’s work. 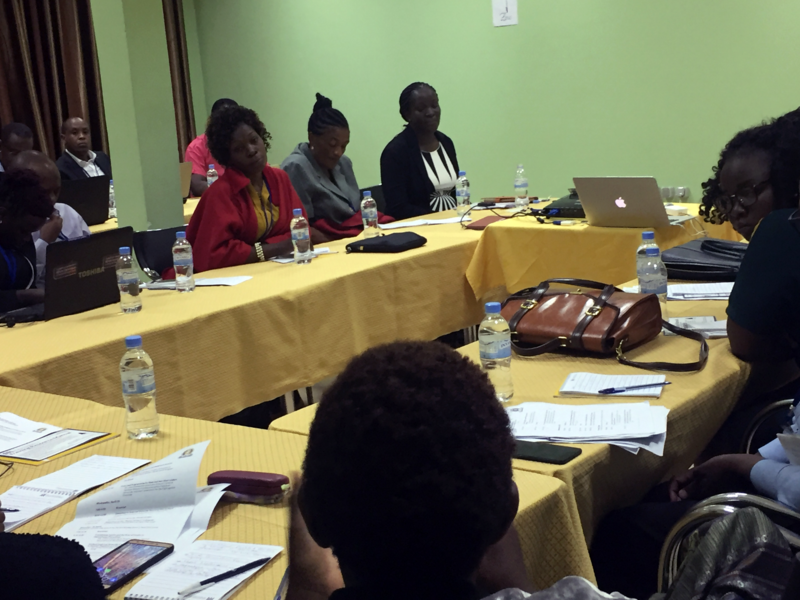 The third day of the seminar was opened by Ms. Lillian Kobusingye, Program Officer, Uganda Association of Women Lawyers, who delivered a module on transitional justice and the role of gender in downstream prevention. Following this, Dr. Sentongo made a presentation entitled “Institutionalizing Genocide & Mass Atrocity Prevention in the EAC: Regional and National Mechanisms” before the seminar was concluded with a final session devoted to a planning session for participants to discuss priority areas for collaboration within the EAC framework and identified next steps. 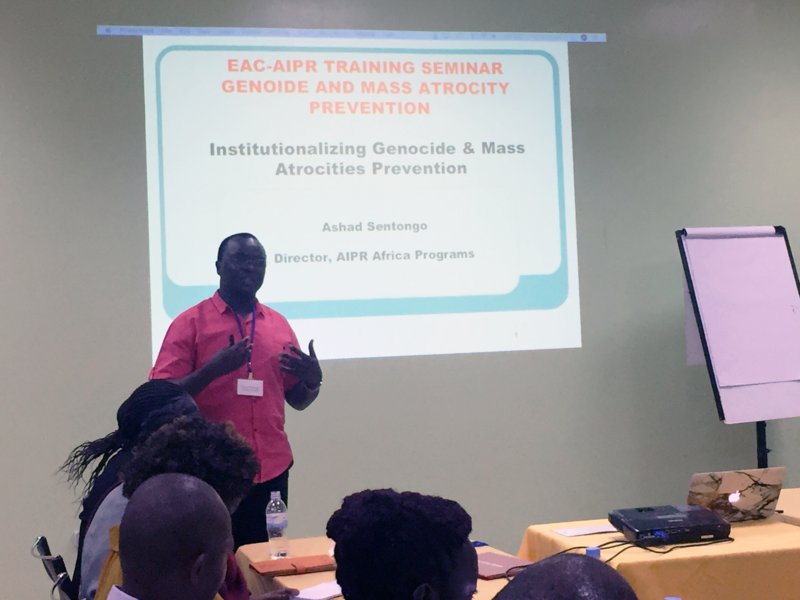 During this planning activity, the seminar participants developed an action plan for an EAC Focal Points Network for Genocide and Mass Atrocity Prevention. Attendees developed a framework to facilitate the sharing of information on country situations, to evaluate existing early warning and response mechanisms, and to draft a petition to the Legislative Assembly of the EAC. This petition is being formulated with the goal of raising awareness within the organization’s membership on atrocity prevention issues and engaging them in opportunities to further operationalize and implement existing protocols, mandates, and tools for prevention in the region.